Colorado Medical Waste was observed picking up buckets of aborted baby parts from the notorious Mayfair Women’s Center in Aurora, Colorado, today. Mike Marcavage, of Repent America, is leading a national campaign to pressure medical waste companies that collaborate with the abortion industry into ending their contracts with the mills. 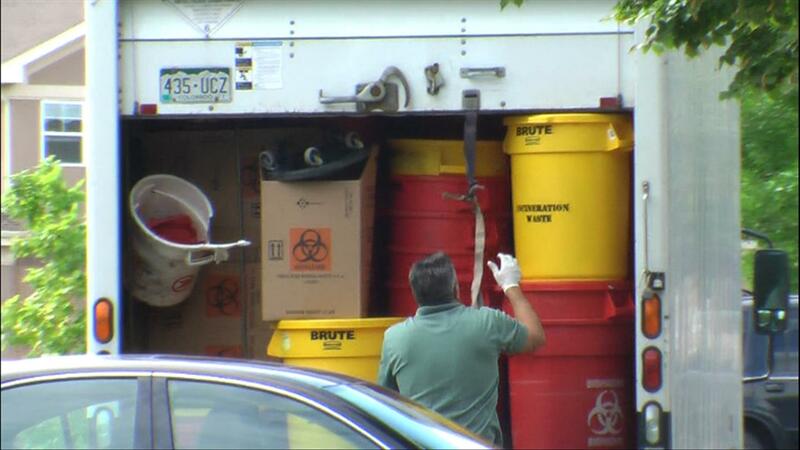 Stericycle and Colorado Medical Waste Disposal “efficiently” clean up after the bloodshed of the abortion industry in Colorado. On September 20th, 2011while protesters stood on the street outside the Mayfair Women’s Center, an abortion facility located in Aurora, CO. a Colorado Medical Waste Disposal truck pulled in front of the mill to make a pick up. He exchanged several buckets filled with baby parts (left over parts that Mayfair couldn’t sell for profit) for empty containers to collect the remains of the children to be killed by abortionist Kuseski. As the truck driver carried the hazardous waste containers to his truck, he realized that pro lifers were taking his picture and he flew into a rage. He spouted all sorts of profanity as he loaded his “morgue on wheels” with the remains of innocent baby boys and girls sacrificed on alter of convenience at Mayfair. The truck was brimming with bio hazardous waste when the driver shoved the remains of the children into the “cradle to grave” tracking truck. Colorado Medical Waste Disposal’s motto is: “All waste is manifested for "cradle to grave" tracking.” An ironic idiom considering the children that are picked up at Mayfair only experience the cold metal appliances used to pull their delicate bodies into pieces, never the comfort of a cradle. 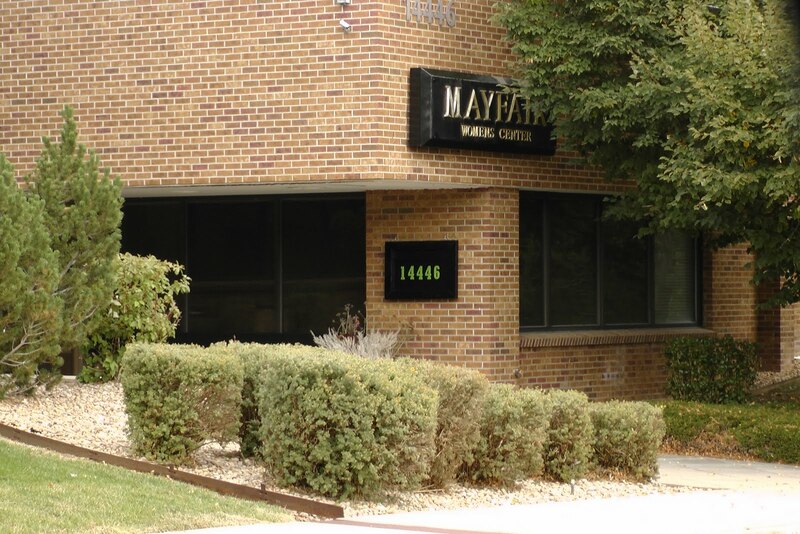 Mayfair Women Center advertises “Safety, Compassion, Respect” but in reality the mill is well known for its nefarious activities, from grinding the remains of children in a meat grinder and flushing them down the toilet to overdosing Christie Stiles in 1993 leaving her in a coma to this day. In the October 23, 1999 World Magazine article Ms.Ying Bei Wang, stripped of her medical license, is named as Mayfair Woman’s Center’s “harvester” employed by Anatomic Gift Foundation (AGF). No longer able to perform abortions she satisfied her bloodlust by harvesting aborted children for AGF. See baby parts price list. See fetal tissue consent form. In the future, Colorado Medical Waste Disposal company will be visited by pro lifers and exposed for their gruesome collaboration with the bloody abortion industry.